Aroma*Sleep is our synergy that awakens the soul purpose to be revealed and for the divine will to be expressed. It is the “Wake Up Goddess“ moment that allows the passion of the heart to be revealed. 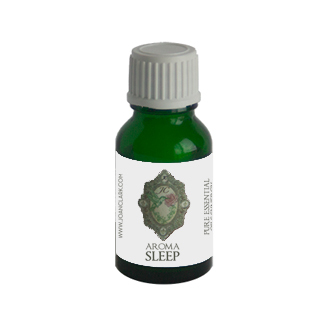 Aroma*Sleep is also good for those who have a hard time sleeping, relaxing and getting in touch with their inner voice. Jet lag, menopause-- when your sleep cycle shifts, exhaustion, sleep apnea. Fear of waking up and having to be responsible for one’s own creation. Helps find the balance between too much and too little sleep. Contains: Cedarwood Atlas, Green Spikenard, Lavender, Roman Chamomile, Rosewood, Sweet Marjoram, Vetiver, Ylang Ylang.